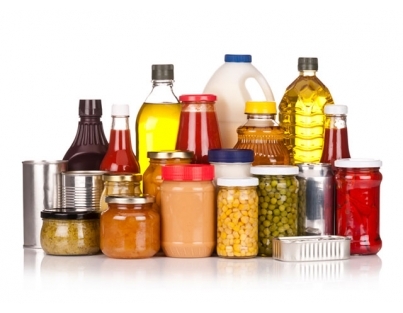 Fully electronic filling and portitioning stuffer. 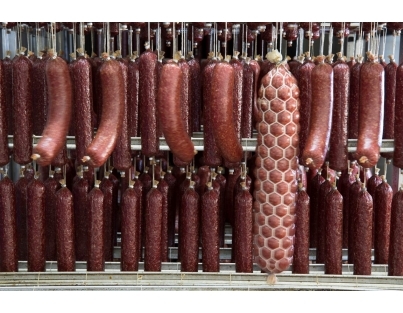 Suitable for all sausage types for STRAIGHTFILLING, PORTIONING and LINKING of all casing sorts. 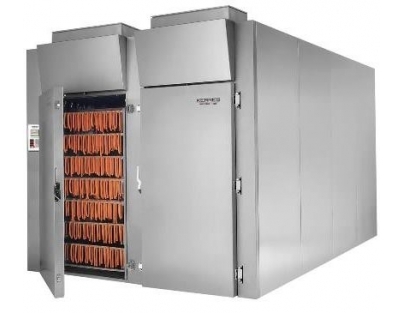 In this new system we put great importance to the care of the sausage meat. 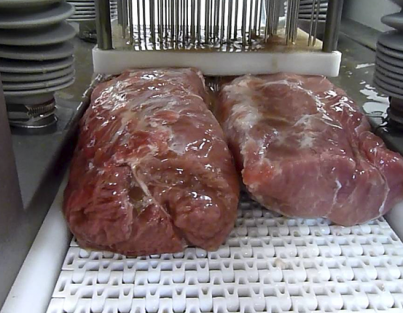 portioning speed up to 250 portions/min. Mobile, oil hydraulic controlled stuffer. 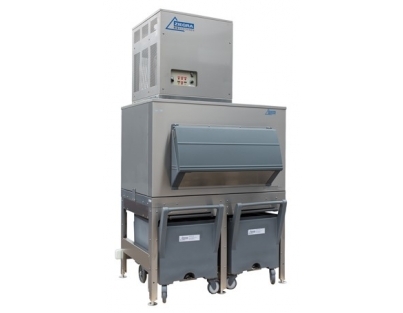 A foot control, especially designed for filling delicatessen products, is available. Special tubes for filling of delicatessen products, like sheep cheese into olives, red peppers and tomatoes, are availbale as well. 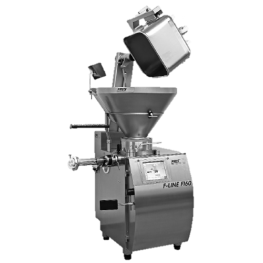 Fully electronic continual vacuum for STRAIGHTFILLING, portioning and LINKING with detachable linking and Global drive. 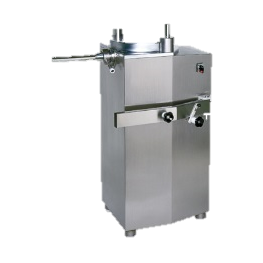 The machine is provided with an additional stirrer equipped. Portioning speed max. 1120 portions / min. 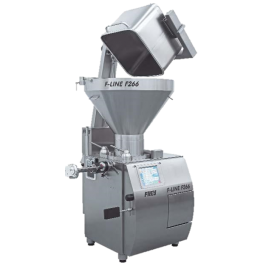 The Type F-LINE F266 SA includes a high speed servo linker. This guarantees the highest linking and speed. 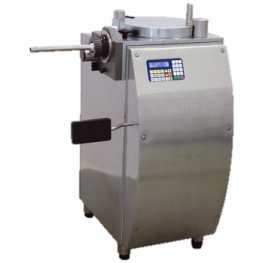 The servo linker serves the optional Wolf cutting system WK130 as the drive. 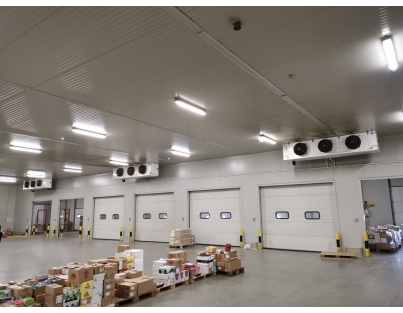 From the factory, the machine can also be equipped with a hydraulic lift for 200 liter norm trolley. 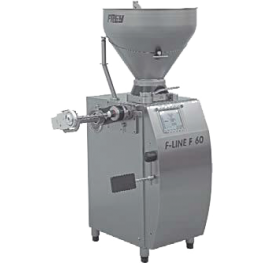 The Type F-LINE F260 SA includes a high speed servo linker. Portioning speed max. 1000 portions / min. 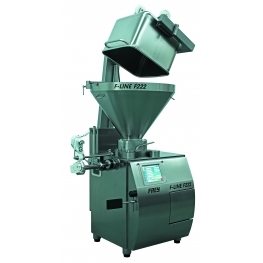 The Type F-LINE F222 SA includes a high speed servo linker. 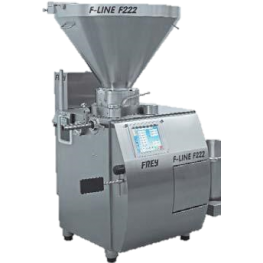 The Type F-LINE F223 SA includes a high speed servo linker. Fully electronic continual vacuum for STRAIGHTFILLING, portioning and LINKING with detachable linking gear ADG04 and GLOBAL DRIVE. Portioning speed max. 620 portions / min. 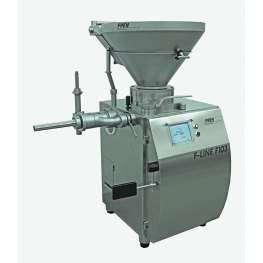 The Type F-LINE F200 SA includes a high speed servo linker. 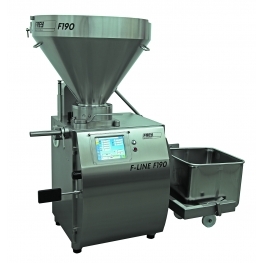 The Type F-LINE F190 SA includes a high speed servo linker. 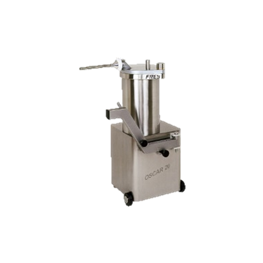 The Type F-LINE F160 SA includes a high speed servo linker. 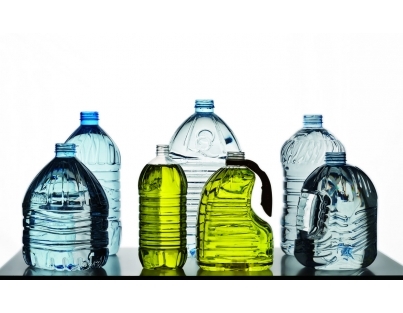 From the factory, the machine can also be equipped with a hydraulic lift for the 120 liter norm trolley. 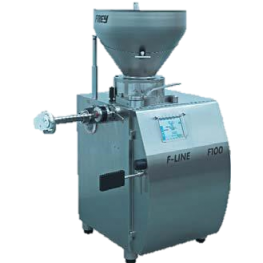 The Type F-LINE F100 SA includes a high speed servo linker. 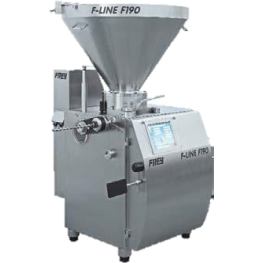 The Type F-LINE F193 SA includes a high speed servo linker. The Type F-LINE F163 SA includes a high speed servo linker. 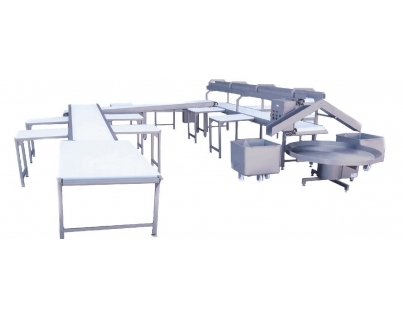 The Type F-LINE F103 SA includes a high speed servo linker. 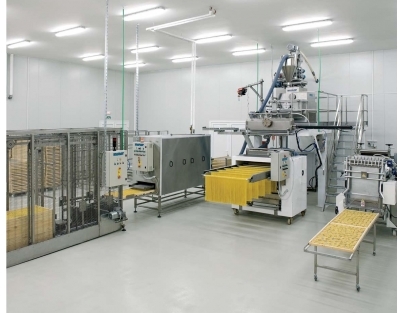 Fully electronic continual vacuum for STRAIGHTFILLING, portioning and LINKING with detachable linking gear ADG04 and FREY SERVO DRIVE. Portioning speed max. 530 portions / min. From the factory, the machine also with the Liftmax lifting and tipping for 120 liter norm trolley can be equipped.